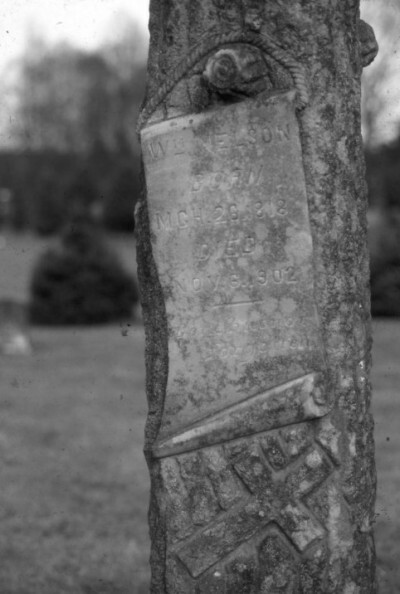 William Nelson’s “Woodsmen of the World” headstone. William Nelson was one of our first settlers. He purchased the piece of land west of the Howisons and established a landing on the Fraser River which, of course, was known as Nelson’s Landing. This landing served the community of the Ridge for delivery and pickup of passengers and goods by the paddlewheelers. We don’t have an exact date for his arrival in the district but he was here in 1872 to help with the construction of the Methodist Church. However, in the New Westminster Columbian of 1888, he is quoted as saying that crops were better than they’d been since 1860. He is also referred to elsewhere as one of the earliest pioneers in BC. His wife was Sophia who was daughter to one of the original Kanaka settlers and a First Nations woman. Her extended family was very much a part of their lives. As they aged and began to die, he created a cemetery at the back of his property, donating a quarter acre largely to have a place to bury his wife’s relatives. 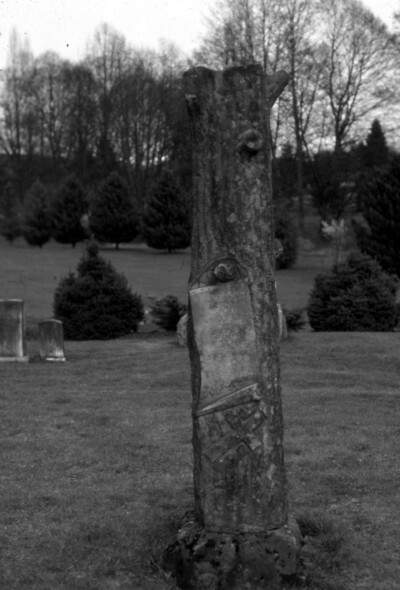 Justus Howison matched that donation and the first acre of the Maple Ridge Cemetery was established. In 1875, the first school in the district was built adjacent to Nelson’s Landing. When James Sinclair, the first teacher in Maple Ridge, first arrived, he climbed the bank from the river and ran into an “old gentleman.” When he found it was William Nelson, he was glad, as the Minister of Education had told James to look for William for board and lodging. William Nelson was also a school trustee. According to James Sinclair’s memoirs, William Nelson appears to have been quite the character. He could often be found telling tall tales and giving room and board to strangers who showed up in the area. As he grew older, he sold off more chunks of his land which was seen as a contribution to the health of the settlement by attracting more people. He was referred to several more times in the Columbian for his hearty good health and his ability to go on ploughing all of his fields on his own well into his 80’s. William died November 6th, 1902 and was buried in the cemetery he donated three days later. His wife, Sophia, died on December 14th, 1916.